A mirrored string is a string for which when each of the elements of the string is changed to its reverse (if it has a reverse) and the string is read backwards the result is the same as the original string. For example, the string "3AIAE" is a mirrored string because "A" and "I" are their own reverses, and "3" and "E" are each others' reverses. 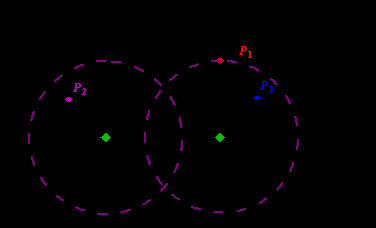 A mirrored palindrome is a string that meets the criteria of a regular palindrome and the criteria of a mirrored string. The string "ATOYOTA" is a mirrored palindrome because if the string is read backwards, the string is the same as the original and because if each of the characters is replaced by its reverse and the result is read backwards, the result is the same as the original string. Of course, "A", "T", "O", and "Y" are all their own reverses. A list of all valid characters and their reverses is as follows. Note that O (zero) and 0 (the letter) are considered the same character and therefore ONLY the letter "0" is a valid character. Input consists of strings (one per line) each of which will consist of one to twenty valid characters. There will be no invalid characters in any of the strings. Your program should read to the end of file. For each input string, you should print the string starting in column 1 immediately followed by exactly one of the following strings.
" -- is not a palindrome." " -- is a regular palindrome." " -- is a mirrored string." " -- is a mirrored palindrome." Note that the output line is to include the -'s and spacing exactly as shown in the table above and demonstrated in the Sample Output below. In addition, after each output line, you must print an empty line. NOTAPALINDROME -- is not a palindrome. ISAPALINILAPASI -- is a regular palindrome. 2A3MEAS -- is a mirrored string. ATOYOTA -- is a mirrored palindrome. Straight forward, write every condition as one function. and then use the combination of the functions to tell which belongs to which. An imaging device furnishes digital images of two machined surfaces that eventually will be assembled in contact with each other. The roughness of this final contact is to be estimated. A digital image is composed of the two characters, "X" and " " (space). There are always 25 columns to an image, but the number of rows, N, is variable. Column one (1) will always have an "X" in it and will be part of the left surface. The left surface can extend to the right from column one (1) as contiguous X's. For each image given, you are to determine the total ``void" that will exist after the left surface has been brought into contact with the right surface. The ``void" is the total count of the spaces that remains between the left and right surfaces after theyhave been brought into contact. 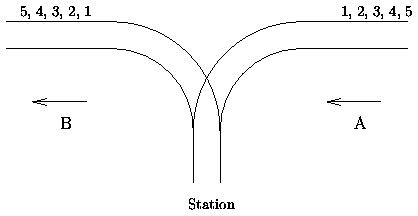 The two surfaces are brought into contact by displacing them strictly horizontally towards each other until a rightmost "X" of the left surface of some row is immediately to the left of the leftmost "X" of the right surface of that row. There is no rotation or twisting of these two surfaces as they are brought into contact; they remain rigid, and only move horizontally. A single unsigned integer, N, with value greater than zero (0) and less than 13. The first digit of N will be the first character on a line. Each line has exactly 25 characters; one or more X's, then zero or more spaces, then one or more X's. The end of data is signaled by a null data set having a zero on the first line of an image data set and no further data. For each image you receive as a data set, you are to reply with the total void (count of spaces remaining after the surfaces are brought into contact). Use the default output for a single integer on a line. Little Bob likes playing with his box of bricks. He puts the bricks one upon another and builds stacks of different height. "Look, I've built a wall! ", he tells his older sister Alice. "Nah, you should make all stacks the same height. Then you would have a real wall. ", she retorts. After a little con- sideration, Bob sees that she is right. So he sets out to rearrange the bricks, one by one, such that all stacks are the same height afterwards. But since Bob is lazy he wants to do this with the minimum number of bricks moved. Can you help? It is always very nice to have little brothers or sisters. You can tease them, lock them in the bathroom or put red hot chili in their sandwiches. But there is also a time when all meanness comes back! As you know, in one month it is Christmas and this year you are honored to make the big star that will be stuck on the top of the Christmas tree. But when you get the triangle-patterned silver paper you realize that there are many holes in it. Your little sister has already cut out smaller triangles for the normal Christmas stars. Your only chance is to find an algorithm that tells you for each piece of silver paper the size of the largest remaining triangle. A subsequence of a given sequence is the given sequence with some elements (possible none) left out. Given a sequence X = < x1, x2, ..., xm > another sequence Z = < z1, z2, ..., zk > is a subsequence of X if there exists a strictly increasing sequence < i1, i2, ..., ik > of indices of X such that for all j = 1,2,...,k, xij = zj. For example, Z = < a, b, f, c > is a subsequence of X = < a, b, c, f, b, c > with index sequence < 1, 2, 4, 6 >. Given two sequences X and Y the problem is to find the length of the maximum-length common subsequence of X and Y. The program input is from the std input. Each data set in the input contains two strings representing the given sequences. The sequences are separated by any number of white spaces. The input data are correct. For each set of data the program prints on the standard output the length of the maximum-length common subsequence from the beginning of a separate line. Basically, it's a straight forward dynamic programming problem----longest common subsequence. It's pretty much like POJ1159, I used the same subfunction to get the answer. For years, computer scientists have been trying to find efficient solutions to different computing problems. For some of them efficient algorithms are already available, these are the "easy" problems like sorting, evaluating a polynomial or finding the shortest path in a graph. For the "hard" ones only exponential-time algorithms are known. The traveling-salesman problem belongs to this latter group. Given a set of N towns and roads between these towns, the problem is to compute the shortest path allowing a salesman to visit each of the towns once and only once and return to the starting point. shows the first 10 ugly numbers. By convention, 1 is included. Given the integer n,write a program to find and print the n'th ugly number. Sam and Ella run a catering service. They like to put on a show when serving meatballs to guests seated at round tables. They march out of the kitchen with pots of meatballs and start serving adjacent guests. Ella goes counterclockwise and Sam goes clockwise, until they both plop down their last meatball, at the same time, again at adjacent guests. This impressive routine can only be accomplished if they can divide the table into two sections, each having the same number of meatballs. You are to write a program to assist them. At these catering events, each table seats 2 <= N <= 30 guests. Each guest orders at least one and at most nine meatballs. Each place at the table is numbered from 1 to N, with the host at position 1 and the host's spouse at position N. Sam always serves the host first then proceeds to serve guests in increasing order. Ella serves the spouse first, then serves guests in decreasing order. The figures illustrate the first two example input cases. Input consists of one or more test cases. Each test case contains the number of guests N followed by meatballs ordered by each guest, from guest 1 to guest N. The end of the input is a line with a single zero. For each table, output a single line with the ending positions for Sam and Ella, or the sentence indicating an equal partitioning isn't possible. Use the exact formatting shown below. Sam stops at position 2 and Ella stops at position 3. Sam stops at position 3 and Ella stops at position 4. << " and Ella stops at position " << (i + 1) << "." repeats this for n rounds, takes a final drink, and passes out. Some number of prisoners, possibly zero, realizes that their cells are unlocked and the jailer is incapacitated. They immediately escape. Disjoint set structure, find-union algorithms. the key part of this problem is connect each other by using rank. take care of what should the Find function return. //Initialize: no flowers in each number of vases. dp[i][i] = dp[i-1][i-1] + A[i][i]; //This one made the greatest change.